This week’s main review is brought to you by Ash Thompson, who was kind enough to help us review Van Morrison back in the 60s. She is also the brains behind tshirt company Dure & Kaufmann, which we like just as much as we like Ash! Roy Orbison singing Bob Dylan, produced by Spector. Reading this immediately struck a chord with me. Does it what. Springsteen hasn’t always had a place with me though. I’ve always been a little impartial to his work, this album has changed that. Springsteen produced an amazing album in Born to Run. I think any album that is produced purely from piano right from the inception gives a deeper sound and complexity to songs that the guitar tends to bypass. I think it forces the artist to work in a different space, it forces them to not worry about the stage and the big show. It forces them to write a damn song. Springsteen found frustration with this album. He has said he could hear sounds in his head but couldn’t get them out, he couldn’t express himself, and he was struggling. He was admittedly caught up in the production process, obsessing over the sounds, obsessing over a wall of sound technique made famous in the early 60’s by record producer Phil Spector. Springsteen also felt the pressure of the marketing machine behind him. This album had a huge budget behind it ready to promote it $250,000 to be exact and bold marketing ploys like “I saw rock ‘n’ roll’s future—and its name is Bruce Springsteen” were thrown around on posters and badges. It only pushed him Springsteen though, he struggled with the Bob Dylan comparison and wanted to break out of the mould. So while Dylan was producing albums like Empire Burlesque which had critics questioning the quality of Dylan, Springsteen went on to refine his style and produce amazing albums like “Born in the USA” with tracks like ‘I’m On Fire’. Perhaps the one thing he rebelled against the most steered him towards what people suspected in the first place. The future of Rock and Roll was Springsteen. The best thing for an artist to do is constantly push themselves outside of the space they occupy, potentially this album did this without Springsteen even noticing it happening, it snuck up on him and took the controls away. He clearly regained it through, with tracks like ‘Thunder Road’, where you can hear almost every Springsteen song in the opening verse. This album lyrically is far more mature and Springsteen explained his leap “I left behind my adolescent definitions of love and freedom– it was the dividing line”, and it shows. I think this album would speak to anyone. Very few albums can be put on and inspire a feeling of familiarity, not in a mundane, exhausted sense but in a familiar blissful reminiscence. I would call this a great gateway album for anyone wanting to get to know Springsteen. I have a few friends (who shall remain nameless) who consistently sing the praises of “The Boss”. Having pretty much no education in the work of Bruce Springsteen, I was keen to listen to “Born to Run” and find out what all the fuss was about. Listening to the album for the first time ever in my life, I instantly drew connections between the sound of Springsteen to Meatloaf. From track one it plays like a bull at a gate with a level of intensity to rival none. The songs are complex in instrumentation and the lyrics are seemingly and heartfelt, albeit at times they were belted out a bit too much for my liking (but admittedly, that’s rock!). For the most part, the songs go hard, and it feels too heavy and forced for me. There is so much going on between the instrumentation and the manic vocals that it is quite hard to know what Springsteen was trying to get across. Something tells me that this album would take many more listens before it began to make sense. Even though I didn’t really get this one, I can see why it achieved such acclaim and sold so well; this is classic American rock. Springsteen imparts a feeling of passion and hope, and as a result, the album has an uplifting and upbeat feel to it, and you can see why so many people would be drawn to something so inspiring and encouraging. Mystery solved. I can remember the excitement I had the day my dad brought home a copy of Bruce Springsteens’s “Born In The USA” album. I would have been eight or nine years old and I loved so many songs on that record. I’m a big fan of Springsteen’s post-September 11th effort “The Rising” which came out in 2002, and I call it one of my favourite albums from that decade. Try as I might, I just couldn’t get as enthused with “Born to Run”. I’m informed that Springsteen’s intention was to deliver an album of huge sound, with the subject matter exploding along with it. Maybe if I had heard this record as an angsty teenager driving around the backstreets of New Jersey in the 1970’s I would have more of a connection with the material. As much as I dig the melody of ‘Born to Run’, the production is too over-the-top for my liking. Singing about “suicide machines” and “highways jammed with broken heroes” does nothing for me either; I’ve never been a ‘car guy’. ‘Thunder Road’ is a song I would always skip on the Springsteen greatest hits CD I have, and I think it’s a weird choice to open the album. Second track ‘Tenth Avenue Freeze-Out’ I didn’t mind, but again, I don’t relate to what he’s singing about. One song I really liked was ‘Meeting Across The River’, with its doomed narrative and that wonderful trumpet part. Roy Bittan’s piano work is very enjoyable throughout the record, particularly on the intro of ‘Backstreets’, which should have been two minutes shorter. You can’t deny Springsteen’s passion though, and the musicianship of his band is as good as it gets. While I didn’t hate “Born to Run”, I certainly didn’t love it, and name it my least favourite album so far. In 1974, one year before the release of “Born To Run”, John Landau exclaimed “I saw rock and roll’s future, and its name is Bruce Springsteen. No pressure for your third album then Bruce. With a lacklustre response to his first two albums Springsteen wanted to do it right on the third, even if just to shake the ‘future Bob Dylan’ claims. Do it right he certainly did. Springsteen had a very clear idea of how he wanted “Born to Run” to sound, and he went to great lengths and time to get there. 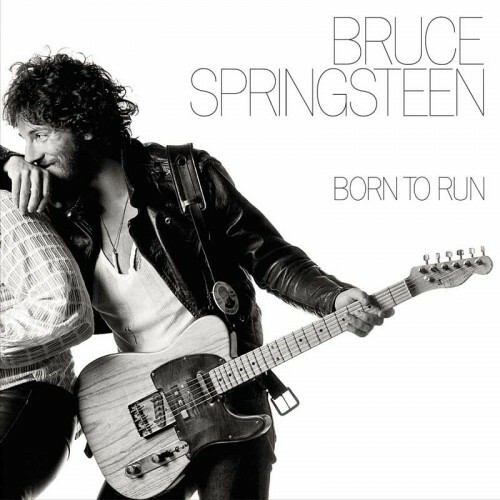 “Born To Run” is big and ballsy, whilst still managing to wear its heart on its sleeve. It’s the boy bad with slicked back hair, sleeveless shirt and motorbike that writes you beautiful poems of love, longing and hope. I’m not normally one to go for overly flashy production, but there is something undeniably charismatic on “Born To Run”. There is a lot of humanity and optimism in Springsteen’s music. People relate to him because we see him as one of us. He has said that “Life is a struggle. That’s basically what the songs are about. It’s the fight everyone goes through every day. Some people have more success with it than others. I’m a romantic. To me, the idea of a romantic is someone who sees the reality, lives the reality every day, but knows about the possibilities too. You can’t lose sight of the dreams. That’s what great rock is about to me, it makes the dream seem possible.” This is Springsteen’s greatest legacy. Sure the music is great, but the man is so much greater than just the music. “Born To Run” hit the delicate balance of heart and brilliant musicianship. The fact that he’s a total hottie on the cover also helps. Springsteen. The Boss. I tell ya, he certainly earned that title from the get go. “Born To Run” was Springsteen’s third album, and though I’ve not heard the first two, I’d wager he spent that time honing his skills, because “Born To Run” is brilliant. I haven’t really heard many songs from this album, apart from the title track, and I don’t think there’s a person on the planet that hasn’t heard that. On starting the album, we’re greeted with beautiful piano, and classic Springsteen harmonica. ‘Thunder Road’ is a song with similar themes to the iconic title track, two young kids hitting the road to make a go of it. The opening of the song ‘Night’, like so many Springsteen songs has a big wailing saxophone. And when I say “like so many” I definitely don’t mean it as a bad thing. When you’ve got a bloke like Clarence Clemons blowing it you’d have him playing as much as possible. That goes for the whole E Street Band, I think. All of them are supremely musicians, and you can tell by the artists they’ve worked with. Meat Loaf, Dire Straits and David Bowie to name a few. Their drums and bass are so tight, and never stop through entire songs. And there are some killer bass runs. The album finishes with the nearly ten minute long epic, ‘Jungleland’, that speaks of love amongst New Jersey violence. Words can’t express how much I love this track. It’s suitably huge, building from its beautiful violin intro and containing a sublime Clemons saxophone solo. I could never get tired of this track, which is pretty much how I feel about this entire album. It’s an absolute bloody ripper with no weak points. So far, the 70s have been very good to us.